Festivals have played a major role when it comes to offering an excellent display of the rich Indian culture and its traditions. There are several festivals that are celebrated throughout the year through the country, though people belong to different religions and castes. Among the many festivals that are celebrated with much pomp and festivities; the traditional festivals in India during the spring or summer are not to be missed. Gudi Padwa is the traditional New Year people from Maharashtra celebrate every year. This new year falls on the first day of the Hindu calendar’s Chaitra month. This year Gudi Padwa 2019 will fall on the 6th of April. To mark the importance of Gudi Padwa, people erect a special Gudi flag i.e. a silk banner festooned with leaves and flower garlands, while an upturned prayer pot (lota) is placed over it. These Gudis are often hung from trees, roofs, and windows or placed in the prayer room in some houses. While people are busy celebrating this Hindu new year, farmers across Maharashtra celebrate it as the harvest festival. This is the time when their rabi crops are ready for harvest. 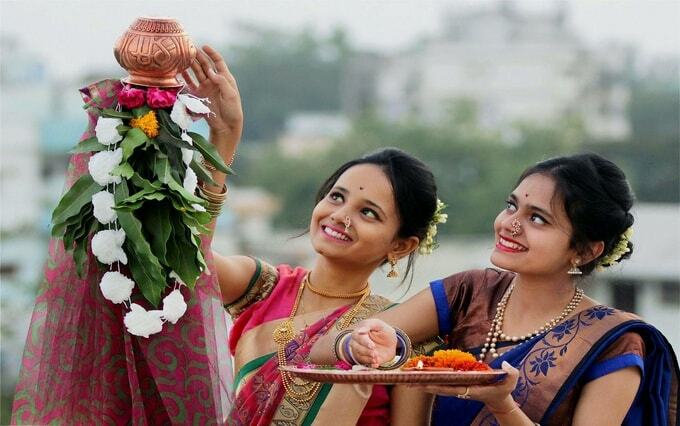 Farmers in Andhra also celebrate this festival, though they call it Ugaadi. 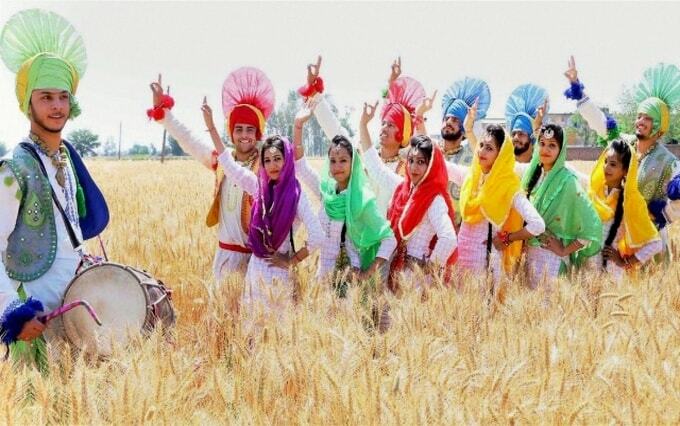 Baisakhi 2019 will fall on 14th April and it is a popular festival of Punjab and Haryana. According to Baisakhi festival information, it is a harvest festival celebrated with great joy among the farming communities of both states, as it marks the harvest of Rabi i.e. winter crops. Farmers look forward to celebrating the benefits of the hard work done during the winter season, which highlights the importance of Baisakhi festival. Besides wishing happy Baisakhi, everyone in the villages, men, women, and children mark their Baisakhi celebrations with lighting a symbolic pyre of fresh sugarcane, and grain husk and pay obeisance while thanking God for a rich harvest. And then, it’s time to party Punjabi style with energetic rounds of bhangra and gidda dance performances. Check out Indian states festivals and dances online to get a glimpse of traditional Gidda and Bhangra dances, two popular dance forms of Punjab and Haryana. 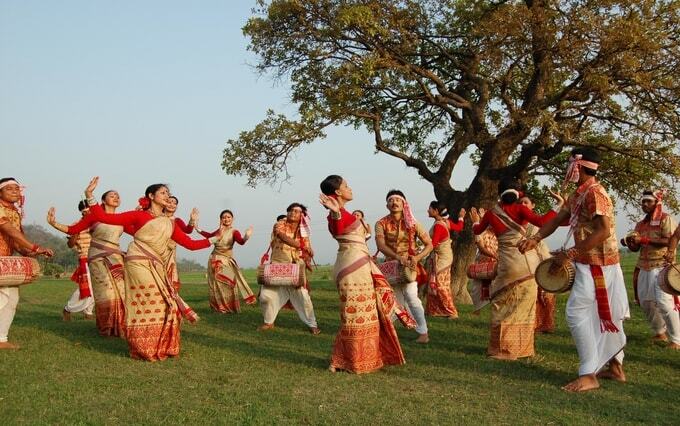 While searching for different festivals in India, you will find another popular harvest festival of Assam i.e. Magh Bihu festival. Here’s a little Magh Bihu festival information for you. Magh Bihu 2019 festival will start from 15th of April and will continue up to 21st of April. Known as Bhogali Bihu, food adds to the importance of Magh Bihu festival. This is because an abundance of grain is available after the recent harvest. Laru, Pitha and other delicious sweets, along with mouth-watering dishes are the prime attractions of the festival. Do you love flowers? It is a sight to behold when you see gardens full of tulips as far as the eye can see. 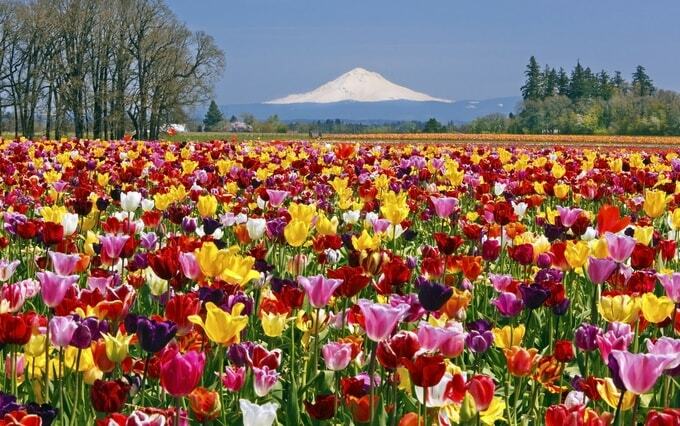 Every year, the Srinagar Tulip Festival is held from April 1 to May 5 during the spring season at the Kashmir Tulip Garden, also known as the Indira Gandhi tulip garden. Recognized as the biggest tulip garden in Asia, the seven terraced beautiful gardens are spread across thirty hectares and was created to boost tourism and floriculture in the Kashmir Valley. Be ready to find tulips in various hues you’ve only seen in photographs. Moreover, check out the panoramic view of the well-known Dal Lake right across the garden. If you want to experience these traditional festivals in India in all their glory, then plan a holiday today. Connect with Kesari tours to get the best offers for your summer vacation.